Providing quality, cost-effective protective surgical gown and drape products which can be re-processed and re-used 75-125 times and can be custom-designed to suit specific customer needs, always with consideration for our environment. Offering durable reusable liquid chemical splash protective garments which provide superior protection with outstanding breathability and comfort. Our garments have been engineered to keep you warm, dry and protected even in the most extreme weather conditions. Water-proof, extremely breathable, high-visibility outerwear. 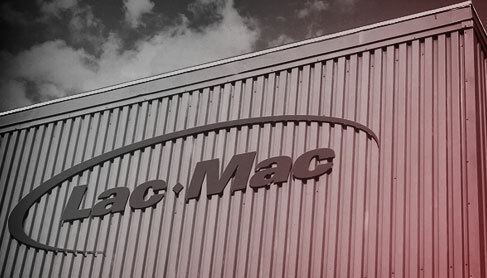 Lac-Mac, established in 1920, remains North America’s leading manufacturer of reusable protective technical products for various market segments. We specialize in quality, high-performance, liquid-proof, breathable PPE products. For more than 30 years we have been a trusted licenced manufacturer for products using a family of GORE® technical fabrics. Additionally, we manufacture protective products under our exclusive R.MOR.Tex® brand for the operating room. All of our products can be custom designed to meet customer specifications. At Lac-Mac we encourage environmental initiatives throughout our organization and make targeted efforts to reduce our environmental footprint in all facets of our production and our purchasing.